Přípravek aretace kola vačky pro vstřikovací čerpadlo kit. 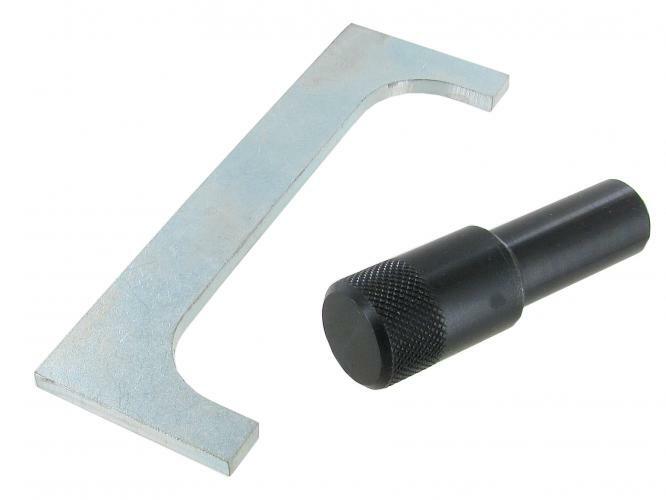 This tool has been designed to aid in the changing of the camshaft drive belt. In operation it locks the Bosch diesel injection pump sprocket in position. This allows the drive belt to be removed without the injector loosing its general timing position. This locking plug is made of steel with a precision ground circumference for an accurate fit. For use on VW and Audi diesels.